So it carried on snowing overnight and this was walking to Friday night drinks. There was a queue of people at the garage just down from us with people buying and then trying to fit snow chains. 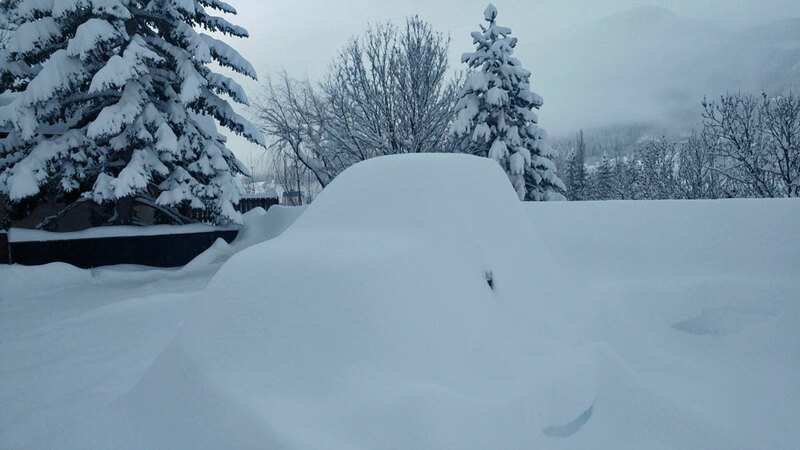 And then various cars/vans not able to cope with the massive amounts of snow, most of us agreed over drinks that this was one of the biggest snowfalls that many a hardened seasonaire / local had seen, but that was not the end of it as it carried on! I left my van in the lower parking area just in case our parking area was blocked by the commune snow plough with a wall of hard snow and then I'd have to dig my way out. I should also add that at 08:00 we had blue sky, so OH made a huge effort as she was off games with fever yesterday and we mad it on to the Frejus Gondola at 09:05. That was the good news the bad was that the Cretes drag was shut, so we did a Barres and tried a Pikeys Shoulder but snow was just too deep for me to cut a track. So we skied down to the Côté Chevalier chair and did three or four laps off that in the vicinity of Rocher de l'Enfer before the weekend hordes started to arrive. Then it was off elsewhere skiing some nice lines in the trees more or less all the way back down to the valley. It's snowing lightly again now, but we're only due another 5cm or so. Top lifts and Cretes are still closed, be interesting to see what they open tomorrow, think I'll pack skins as if Vallons is shut then would be a good call to skin up there. Back down to 1420 laters to watch the rugby. Bumped into my neighbour last night, Dr Varsinak who has his surgery in the commercial centre, and he said this was the biggest snowfall since 1990. Seemed to be coachloads of Eastern Europeans & Frenchies dropping off sub 20yr olds who were having to make their way to the apartments, then in the bar two groups of said young Frenchies last evening, with two drinks between them, then they asked for glasses of tap water! Top lifts again look shut, and windy will go and take a look, but not too enticing. Temps yesterday rose to +6 and in the sun the snow was melting quickly, on our patio the 90cm or so has compacted down to around half of that. That said snow that has not seen any sun is nigh on still light powder. Unfortunately, after the snow of Friday Saturday, the winds blew on Sunday and Eychauda ridge is once again stripped of all snow, and at altitude, you can see the impact of those winds. We scored a couple of great lines yesterday, all be it a tad challenging at times, and the best snow was in the trees, though I kept thinking how had avalanche debris made its way into the forest, in fact, they were the residual clumps of snow blown off the trees. There's still cold powder to be had I think in the trees, but I'm taking a couple of days off as I've tweaked my back (probably not helped by shovelling snow) just after I'd nigh on recovered from my fall of Jan 1st and just maybe we'll have spring snow touring back end of the week. We were all saying last evening how busy the resort seemed with many Eastern Europeans who all seem to snowboard, but still feckin quiet compared to the ski factories of the Northern Alps! That will all change next week but hopefully back allowing I'm off doing stuff. Very useful -I'm thinking about trying to get a week in somewhere flying out Sat 23rd or Sun 24th Feb and Serre is on the short list . From what you are saying Weathercam, it seems there was little snowbase until the recent megastorm but that is going quickly so now really worth booking yet. @muddewater, pistes are and were in glorious condition as temps were so cold all through Jan allowing for snow canons to do their thing. And the majority of the pistes are all N Facing so will not lose too much snow. But for sure there's talk of high pressure and no snow till March and what with the French half term hordes who knows. What I was mentioning, Eychauda is mainly an off-piste area. However if it were me flying out 23rd 24th I'd look at Italy. We easily clocked up 75km (inc lifts) in under 4hrs few weeks back, and we have more snow so can do more valley descents. 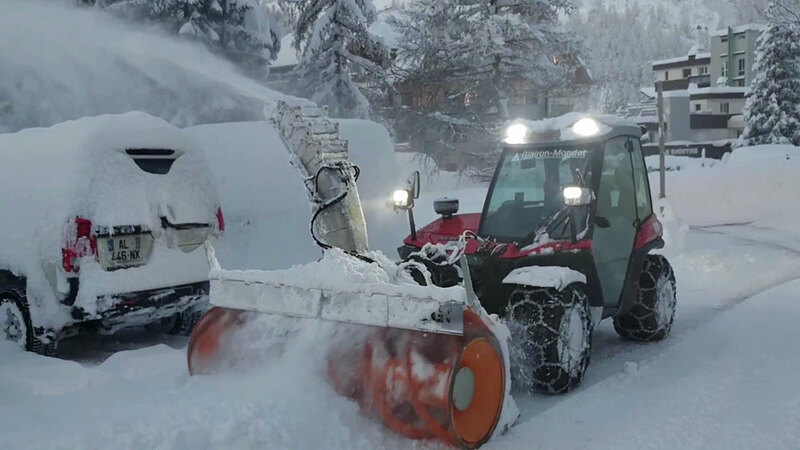 As for more snow, my mate who we call the snow god arrives tonight and he has to pick a mate up from Grenoble airport at 10:30 Monday morning and the current forecast is possibly suggesting that the Col could be shut! 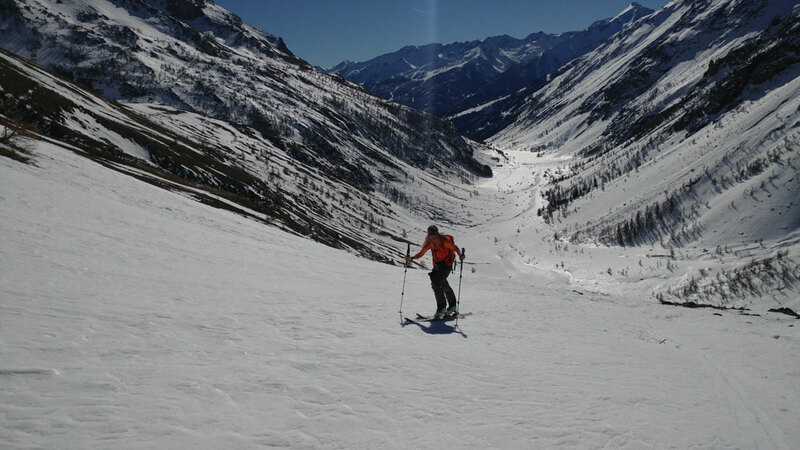 We toured up near the Izoard on Wed, very mellow but what was apparent was that there was still good powder to be had in the trees and North facing slopes. So for yesterday I suggested a tour just up from Le Casset and for one of the guys it was his first major tour in a long time, and at nigh on 70 he did really well, able to chat all the way whilst climbing up though once he got to the magic 2,000m + he did slow up a liitle, but twas a sterling performance. And the descent was great! Doing some piste skiing later so will report back on that. Currently enjoying the Alpine sunshine Serre Che, slightly busier yesterday than Thursday with plenty of wreckless people about to keep you on your toes! Looking forward to some snow at the weekend, fingers crossed the optimistic forecast comes good. Very mixed bag depending which sites you look at! Just wondering if any SC snowHeads can recommend trails/pistes to explore (maybe treelined with lots of little side hits? I’m thinking back to the ‘star wars’ run we used to lap in Avoriaz). Also, any recommendations for back country guides (Missus and I have all back country gear but wouldn’t be comfortable exploring without any knowledge of the area). And third but final question... from the top of the Clot Gauthier lift there looks like to be a run/cat track descending from the ridge line across the clot gauthier peak and Col mea. Is this a lift serviced route? Only I couldn’t see lift going up there? Maybe it was hidden from view from where I was. 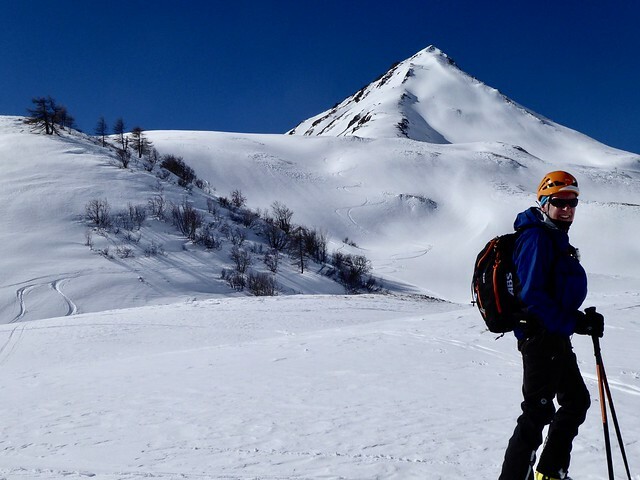 @Drifter210, there is sometimes a cat track there and if the Eychauda drag is running, you can schuss down and then up on it, then it's a skate or bootpack to the summit of the Clot Gauthier where you can ski the NW face down to the top of the 2 drag lifts. Currently raining in chantmerle. Was some nice snow at about 2-3 pm further up the hill which freshened things up nicely. But quite windy up top. Any recommendations for board school? Anyone fancy some off piste then let me know. Got Pieps shovel and probe obvs, and a fair idea of how to use them. Though thankfully never in anger. Stacks of lovely snow yesterday and last night. Most pistes with a nice soft covering this morning. Loads of lovely staches on any spare bits of ground. Hopefully still some decent powder to be had tomorrow when we revert to the skis. Both our toes are gubbed from boarding today. A few lifts were marked shut this afternoon, so perhaps they will open tomorrow and fresh tracks to be had. @KenX, Can't stay away!! Me and Mrs Retrobod staying in Villeneuve this time. Tied to school hols I'm afraid. Entertained by Crystal so don't have to brave the car parks!! Some good bits in the occasional gullies or Lee slopes but not a patch on yesterday, which was amazing. Woods also getting fairly tracked out. @TheGeneralist, Too true... But have to keep the guard up. All that snow has blown somewhere and so windslab will continue to be a risk. Slides can happen even in the woods. Yes I believe @Weathercam can attest to that! Pretty much all the north facing tree skiing is finished now, but the pistes are still in fantastic shape! Strangely, south facing off piste that was wind affected sastrugi/crud now seemed to have morphed into reasonable heavy powder, so with a bit of careful aspect choosing, the game may go on! On the plus side the wind has formed some lovely little cornices on the gully/valley thing near the jumps park which gives a useful addition to the woefully short selection of kickers by the button lift. Give the kid a bit of practice for next time we go to Nevis Range. @toyah807, both weeks will be quiet. We will probably be out there ourselves for those two. And Irbis doing more of the same, on his birthday no less! Warmest day of the year today, nearly hit 14 degrees and felt very warm in the sunshine. I've been over La Grave way past three days and we scored great conditions, yesterday, best day of the season me thinks. 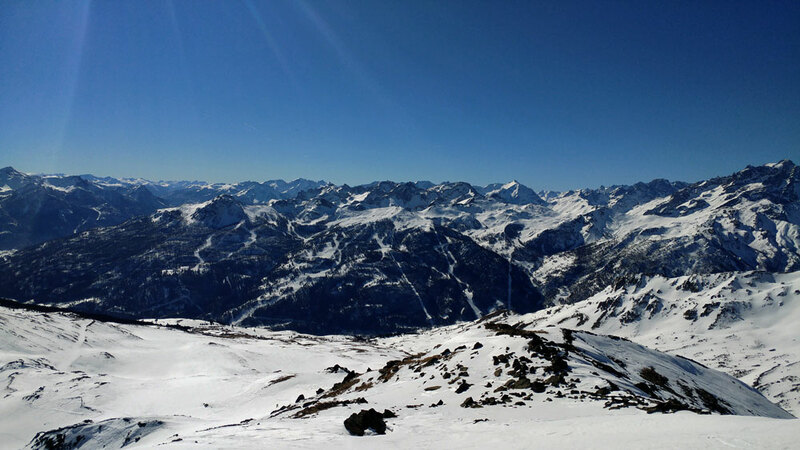 Had a great ski tour today from La Salle up to the Gardiole, tough and long and not too sure what to expect on the descent but turned out to be very good. Terrible news from the valley this morning. Four teenagers killed and 2 seriously injured in an early morning collision with a lorry on the main road in Chantemerle. RIP and sympathies to their families. Today opted to go up from Pointless at 11:00 which seemed even more pointless as it had stopped and they said it was going to be 20mins, so we were just going to try and see if there was any parking at Frejus, and or go home and within 5 mins it started up again. We then skied down to Frejus gondola from top of Pointless and there were so many numpties around (going back for lunch), we saw one 5-year-old walking behind his dad up the little chemin where you have to gun it down to Chazelet, and then people generally twatting around. 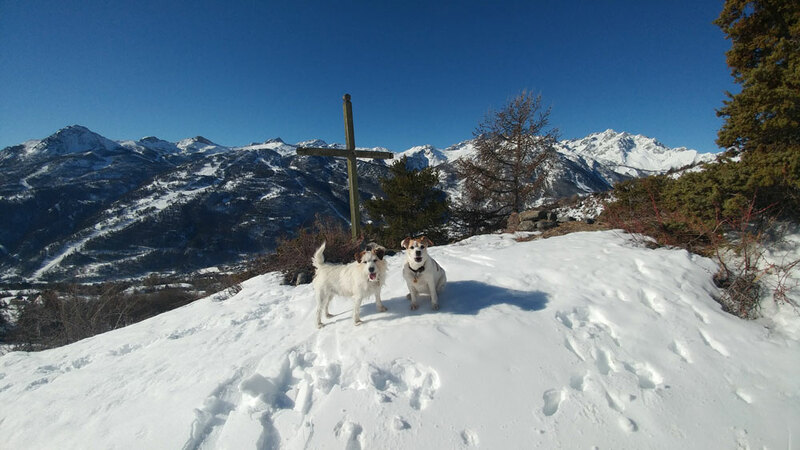 We then took Barres and the Mea drag and went over the back of the Col de Mea all the way to Vallon de Chambran snow was sublime in stretches and grippy in others, I took a couple of falls but maybe I should have been on my fatter skis as I was only on my 88's. I also came right out of the binding on a turn and bruised my knee, hopefully, think I'm ok as managed to skin up to Col de Frejus and then Cucumelle chair and ski back down Vallons and to Pointless! But we have had mega dumps in March, it's just that it will now fall on warm land. A good bunch of 26 of us look forward to arriving in Chantemerle on 3 March. I've looked through this thread for some tips of mountain restaurants etc and have scribbled them below. Hope that's ok to make use of what you folks have already and kindly suggested. Any other tips would be very very welcome. I'm also looking to demo some Dynastar Legend x88 & x96 and comparable skis if that's likely possible somewhere ? I should also be asking where it would be good to play in some easy access off piste too ! 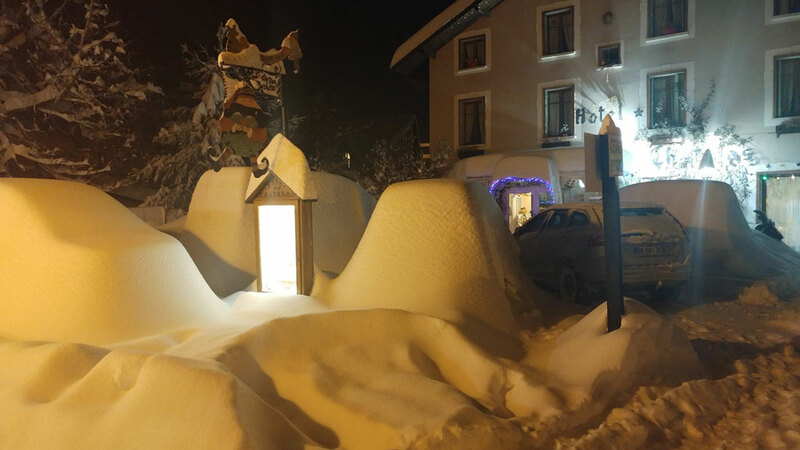 •	Echaillon good mountain restaurant (under the new Cote Chevalier chair/off to the right of the Fangeas piste between top of Casse du Beouf and Clot Gauthies lifts). •	Chazelet bottom of Casse du Boeuf. •	Le White (at Serre Ratier). •	Peyra Juana (off Rochamout blue towards the bottom of the mountain). Small rustic hut, long communal tables. Great (and huge) plat du jour. Menu always does look a little basic, and hasn't changed in years, but they come into their own with the Plat du Jour (often more than one) and home-made desserts. •	Chalet Serre Blanc just above Rocher Blanc chair. Station bar is no longer. There is the Grotte under the Aravet lift. Where are you staying or did I miss that? Aaaahhb just seen Chantemerle ! So you have Plein Sud hotel which has a nice bar and is run by a good friend. There are then a few orher bars than charge an arm and a leg for drinks, Maurice bar for instance and a new one Le Boudoir. Also high end ski rental in Melquiond sports in Chantemerle.